Mountain View, CA May 14, 2014: The board of directors of Creative Commons is pleased to announce the appointment of Ryan Merkley to the position of chief executive officer. Ryan is an accomplished strategist, campaigner, and communicator in the nonprofit, technology, and government sectors. Ryan was recently chief operating officer of the Mozilla Foundation, the nonprofit parent of the Mozilla Corporation and creator of the world’s most recognizable open-source software project and internet browser, Firefox. At the Mozilla Foundation, Ryan led development of open-source projects like Webmaker, Lightbeam, and Popcorn, and also kicked off the Foundation’s major online fundraising effort, resulting in over $1.8 million USD in individual donations from over 44,000 new donors. Ryan is a well-known and respected voice in the open source community, and recognized for his unwavering support to open government and open data initiatives. Creative Commons provides a set of licenses that creators can use to grant permission to reuse their work. With over half a billion openly licensed works on the internet, Creative Commons is internationally recognized as the standard in open content licensing. Ryan will lead a global team of legal and technology professionals who manage and support the licenses, as well as experts who lead CC license adoption efforts in areas like education, culture, science, and public policy. Ryan joins Creative Commons after a career working to advance social causes and public policy in nonprofits and government. Outside of his work at Mozilla Foundation, Ryan was senior advisor to Mayor David Miller in Toronto, where he initiated Toronto’s Open Data project. He was also seconded to the City of Vancouver as director of corporate communications for the 2010 Winter Games. Most recently, Ryan was managing director and senior vice president of public affairs at Vision Critical, a Vancouver-based SaaS company and market research firm. Ryan will take up his new position on June 1, 2014. He will be based in Toronto, and will split his time between Toronto and the Bay Area. Today the White House released the U.S. Open Data Action Plan, reaffirming their belief that “freely available data from the U.S. Government is an important national resource… [and] making information about government operations more readily available and useful is also core to the promise of a more efficient and transparent government.” The report (PDF) outlines the commitments to making government data more accessible and useful, and documents how U.S. Federal agencies are sharing federal government information. From a legal standpoint, some agencies have decided to place their datasets into the worldwide public domain using the CC0 Public Domain Dedication. This means that all copyright and related rights to the data are waived, so it may be used by anyone–for any purpose–anywhere in the world–without having to ask permission in advance–and even without needing to give attribution to the author of the data. Historically, the U.S. government has been apprehensive to apply CC0 to federal government works, because the CC0 Public Domain Dedication is a tool to waive copyright and neighboring rights globally. At the same time, it’s clear that many high-value U.S. government datasets, such as the weather data produced by the National Oceanographic and Atmospheric Administration (NOAA), are being widely (and freely) used by meteorological and research organizations around the world. It seems that in the vast majority of cases, the U.S. Federal government doesn’t care to leverage its copyrights abroad. So perhaps it makes sense to simply clarify that these works will be made available in the worldwide public domain using a standard tool such as CC0. While we had some initial questions about acceptable licenses for federal government information, it seems that agencies are moving in the right direction in utilizing the public domain dedication, as opposed to the other copyright licensing tools that were laid out in Project Open Data. In addition to showcasing federal agencies that are using CC0 on some of the datasets it’s releasing, the U.S. Open Data Action Plan document itself is also published under CC0. As a work of the United States Government, this document is in the public domain within the United States. Additionally, the United States Government waives copyright and related rights in this work worldwide through the CC0 1.0 Universal Public Domain Dedication. Over the last several years, many have called upon the federal government to adopt CC0 for U.S. government works. Most recently, a group of advocates drafted recommendations urging federal agencies to release federal government works, contractor-produced works, and primary legal materials into the into the worldwide public domain under CC0. Today’s announcement is a move in the right direction for data re-users in the United States and beyond. Impressions from OCWC and OER14 conferences: speaking policy to practicioners. At the end of April, I had the opportunity to participate in two back-to-back events related to open education: the Open Courseware Consortium (OCWC) annual meeting in Ljubljana and OER14, the United-Kingdom based annual conference on the subject. Together, they provide a good insight into the state of open education in Europe (with one caveat: in both cases, the focus is on higher education – which is particularly obvious with regard to the OCWC, which is a consortium of academic institutions from around the world). (A technical note: At the Ljubljana meeting, the OCWC announced a re-branding, and has changed name to Open Education Consortium (OEC) – the main argument being that member institutions have today a whole portfolio of educational resources, that goes beyond just Open Courseware – thus the brand was becoming misleading). Opening Up Slovenia. THe Slovenian Ministry of Education announced during the conference in Ljubljana that it will launch a domestic „Opening Up Education” initiative – mirroring the EU-wide „Opening Up Education” initiative launched by the EC in autumn 2013 (Press release of the Slovenian Ministry of Education). The approach is promising, since the European initiative provides a strong basis for OER as a key element of a general educational strategy (as well as a generally good and sustainable model for modernising school systems through the use of ICT). Yet currently the Slovenian strategy is limited to general goals and directions for action – we need to wait and see, whether a strong OER development and support model will be introduced in the strategy. If that’s the case, the idea of national strategies matching the EU-wide initiative is to be applauded. There are MOOCs of all flavours, including „open MOOCs”. Massive Open Online Courses were one of the dominant subjects in both conferences, but in particular at the OCWC meeting. MOOCs seem to be the tool of choice for a broadly understood „open education”. This obviously is a case of open washing, from my perspective (and that of most OER activists). The fact that OCWC declared that it will champion „Open MOOCs” proves the point – why do you need to add „open” to an acronym that already hides „open” within it? The fact that MOOC resources are not open has been troubling OER advocates for some time now. Indeed, with the concept of OER so well developed by now, it is a pity that it has not been employed by creators of MOOCs. The fact that these are mainly commercial, educational startups partially explains this choice – as business models around open educational resources are still not well developed. While it would have been better if these popular educational tools were open (in the full sense of the term) from the start, the strategy that OER advocates face is simple: a valid, sustainable model for „open MOOCs” needs to be implemented – following the path taken by Open Access advocates with regard to journal publishing. And it is good to learn that open MOOCs do exist. The OCWC has awarded three open MOOCs with its annual ACE award. STill, the most impressive open MOOC I learned about is the DS106 MOOC on digital storytelling. I recommend that you have a look at it, if you’d like to see what truly open, and at same time very creative online education can be about. Let me just mention that the organizers use an online radio as one of the preferred communication channels for their learning community. Policy work is hard work. It is always interesting to attend an event that addresses open issues, but not in a crowd of open activists – but rather a community of educational practitioners, form whom open resources are but a tool, and who vary in their support for OERs. For them, policy matters turn out to be less interesting than practical, technological or pedagogical issues. Yet at both conferences there was a small but dedicated community of policy practitioners. I became aware of several new and interesting developments, including: the OER initiative in Alberta, the MoU on OER signed by three Canadian provinces (Alberta, British Columbia and Saskatchewan) and the report presented to the Welsh government by the Online Digital Learning Working Group. Of these initiatives, the one that is most worth highlighting is the Scottish Open Education Declaration, which is currently being drafted by Open Scotland, a grassroots initiative bringing together OER advocates. The declaration is open in character and the authors or soliciting feedback on the current draft – please leave your comments! It’s good to see another country, in which an OER advocacy alliance is developing. While it is not surprising that participants find the subject of national policies quite abstract and seem to not fully appreciate their significance – I was surprised to find little discussion on institutional policies for OER (which could be particularly successful for higher education / academic institutions). Again, a comparison with Open Access is obvious – and the reason that OER policies are not implemented might be due to the fact that we have not yet identified as clear pools of resources (and associated production workflows) as is the case of journal articles targeted by OA advocates. I had an opportunity to present Creative Commons work on OER policies. I organised a workshop during which we discussed best standards and strategies for implementing such policies, looking at examples from the Cape Town Declaration, through the Paris Declaration and a range of domestic documents, to the recent language used in the European „Opening Up Education” initiative and the associated Erasmus Plus program. Here are the slides for the presentation I gave at the beginning of the workshop, „Defining OER policies for public content, and bringing them to life„. At both events, people to whom I talked about policy work agreed that a dedicated event for the „policy wonks” in the OER community is needed. I heard the same comments after our policy event in the European Parliament. A full day devoted to policy debates is something I hope we can organize in the coming year. The OER divide between K-12 and HEI. The interesting thing about the OER model is that it spans two very different educational systems: the K-12 / primary and secondary schools on one hand, and the higher education institutions on the other. On one hand, the goals and the transformation obtained by opening up resources is the same in both cases. On the other, these are different institutions, differently funded, with different pedagogies. It is interesting that the European „Opening Up Education” initiative spans across this divide, and adds to it vocational training and adult / life long learning. The OER model is in general terms independent of these differences – the general rule for making resources available, also for reuse, is always the same. But communities of practitioners clearly draw a line. In particular, institutional policies will be very different in each case, due to different institutional models. Openness: a value and a tool. OER advocates are used to talking about openness in value terms. And as a flipside, sometimes take the impact of open for granted. Or even run the risk of being dogmatic about the advantages of open. Many of the talks at the two events served as a useful reminder, that for many practitioners openness is a tool. One of many in their toolkits – sometimes the favourite, sometimes not. And their goals more often have to do with creating modern, effective and high quality education, rather than simply making it open. Mike Sharples, Academic Lead of Future Learn made this point very clearly in his presentation, when he said that toolkits, rather than simply OERs, are the resource that can modernize education. He gave an example of a sensors app for smartphones, with which students can conduct citizen science experiments. This serves as a reminder of how important evidence is for policy work. And for this reason I appreciated a lot presentations by the OER Research Hub team at the Open University, which is running the best, to my knowledge, impact assessment research on OER. THe Hub was rightly awarded the 2014 Open Research Award of Excellence. And accepting the fact that not every practicioner needs to be as passionate about open education as the advocates are, it would be great to see open standards (and in particular, strong open licensing norms) considered an obvious and necessary element of every such toolkit. In February we said goodbye to Donatella Della Ratta, CC’s longtime coordinator for the Arab world. Today we’re pleased to announce that Naeema Zarif and Sami Ben Gharbia have joined Creative Commons as the regional coordinators for the region. Naeema and Sami join CC’s other regional team leaders, who are key in organizing the Creative Commons Affiliate Network around the world. After 8 years in advertising, Naeema Zarif took a leap into social enterprise offering expertise on conceptualization and producing both offline and online integrated media initiatives, including print, social web, audio, and film. She is an enthusiastic supporter of open culture, speaking and lecturing frequently at conferences and educational institutes, and contributing visual and digital strategic consultancy and training to various governmental, not-for-profit, and for-profit initiatives around the MENA region. Sami is a Tunisian campaigner, blogger, writer, and freedom of expression advocate. He was a political refugee living in the Netherlands between 1998 and 2011. Sami is founding director of the advocacy arm of Global Voices, co-founder of the award-winning collective blog Nawaat, and author of the first Tunisian e-book (in French), Borj Erroumi XL. He co-founded The Arab Techies Collective and co-organized the The Arab Bloggers Conferences for several years. Foreign Policy named Sami a major world influence in promoting government transparency. Sami received a Prince Claus Award in 2012 for his cyber-activism work. Yahoo! named Sami Ben Gharbia as a person of the year during the 2010 World Press Freedom for his work focused on Internet censorship. Electronic Frontier Foundation awarded Sami and his fellow Nawaat co-founders with their 2011 Pioneer Award. We recently highlighted some of the ongoing affiliate project grants in the Arab world region, and we look forward to more great developments with Naeema and Sami on board. The Webby Awards is proud to honor Lawrence Lessig with a Lifetime Achievement Award in 2014 for his groundbreaking work as cofounder of Creative Commons. Creativity based on collaboration is absolutely fundamental to everything that makes the Web successful and wonderful – but none of that would be possible without the ability (and encouragement) to share, mix, and match creative works. Lessig has spent his life and career standing up for collaboration (and standing up to those who seek to inhibit creative cooperation), as well as defending Net Neutrality and the free and open software movement… in other words, all things essential to the Web’s awesomeness. As we celebrate the 25th Anniversary of the Web this year, there is no one more fitting to accept this year’s Lifetime Achievement Award than Lawrence Lessig – a true hero of the open, collaborative Web, and an all around fantastic human being. The awards will take place Monday, May 19, in New York City, and available online the next day. Congratulations, Larry! We are now opening the discussion for our compatibility process and criteria for the ShareAlike licenses. As established in the drafting process, 4.0 includes a compatibility mechanism that allows for other licenses to be compatible with the ShareAlike licenses, allowing for greater interoperability of freely-licensed content, but no other licenses have been approved as compatible yet. We are looking to the CC community to help us develop the criteria and process before formally evaluating licenses as candidates for ShareAlike compatibility, and to kick off this discussion, we now have a draft posted for feedback: ShareAlike compatibility process and criteria. We want this to be a process that the CC community trusts, and so this is a first draft, not a final document. We invite everyone to participate in the discussion on the license development list; it will end on May 28. On 17th of April, the Polish Ministry of Education has published the first part of a digital version of the new „Elementarz” – a primer textbook for pupils of the 1st grade of elementary school. The full, printed version will be provided for free to all students in September, at the start of the school year. The textbook is licensed under a Creative Commons Attribution (CC BY) license. The open licensing of the 1st grade textbook program confirms the commitment of the Polish Ministry of Education to support the development of publicly funded Open Educational Resources. In parallel, a set of open core curriculum e-textbooks for K-12 schooling is being developed since 2012, as part of the „Cyfrowa szkoła” (Digital school) program. The new program is another step in the transformation of the textbook provision model in Poland, which includes a shift from printed to also digital resources; from purely commercial production to a model where textbooks are also produced by public institutions; and from closed to open educational resources. THe 1st grade textbook has always played a symbolic role, as the first „serious” book that a child going to school for the first time receives. With the free primer textbook, the Ministry wants to address the issue of rising textbook prices (average textbook expenditures by families have risen by almost 50% percent since 2007) as well as end a range of unfair practices by publishers (that forced, for example, parents to purchase new textbooks each year by bundling them into a single volume with exercise books). Together with the new textbook, a legislative reform will introduce regulations that will change the way textbooks are chosen in schools and enforce that textbooks are used for longer than a year. The Ministry estimates that parents will save 100 million Złoty (approximately 25m Euro) on textbook expenses in the first year, and up to 700 million złoty (approximately 168m Euro) in 2020. The costs of the free textbooks will be covered from budget funds previously reserved for subsidies to textbook purchases for poor families. The Ministry will also subsidise, along the free primer textbook, a range of supplementary materials, including exercise books and a foreign language textbook. In following years, the program will be extended so that it will cover grades from 1 to 9. The program will also be integrated with open e-textbooks from the „Digital school” program. Hopefully, in the next step we will see commercial publishers of the subsidised textbooks (foreign language textbooks, for instance), release their publications under a free license, following the Siyavula model. As important is the introduction into law of an Open Educational Resources policy, which will confirm current commitments of the Polish government. detailed information about the current textbook reform (in Polish) by the Ministry of Education. This guest blog post was written by Subhashish Panigrahi of The Center for Internet and Society, a Creative Commons affiliate in India. My name is Subhashish Panigrahi. I am an educator currently working in the community and communication front at The Centre for Internet and Society’s Access To Knowledge program (CIS-A2K), an India-based catalyst program to grow Indic language communities for Wikipedia and its sister projects. Prior to my work at CIS, I worked for the Wikimedia Foundation’s India Program, a predecessor to the current CIS-A2K project. While building ties with higher education and research organizations, I also try to get educational and encyclopedic resources licensed under Creative Commons licenses so that communities can use them to enrich Wikimedia projects. Currently, there is a low level of content available across all the Indic languages and the need for Unicode-based content is extremely crucial. While negotiating with authors for relicensing their books in Creative Commons license, I started identifying certain motivation areas for any author for such free content donation. Some of the authors, publishers, and copyright holders have started learning about open access to scholarly publications. However, the readers who are likely to buy a hard copy of a book are likely to buy it even when a free, virtual version is available – that’s the idea authors who are skeptical about CC licenses need to understand. Open source book publishing in India has gained much interest and focus, primarily because of the lack of foresight of the possibilities that are tied to the release of books. It was Pratham Books that first came up with the brilliant idea of “One book book in every child’s hand.” The subsequent release of multilingual books under free licenses was the beginning of a new era in Indian publication. Book publishers should also think of the target readers of print and web media. Releasing content in free licenses doesn’t affect the mainstream print publications. When it comes to books, there is always a scope for reprinting and making money. After negotiations with two authors and getting 13 books about children’s literature, travelogues, popular science, and linguistic and historical research, I am sure the publishing community has not been educated in the right way about providing free access to content. It generally takes a long time and effort to negotiate with the copyright holders to get the books out with a CC-BY-SA tag. But it is a permanent and a significant value addition for the open knowledge movement. I believe with more online readers and reviewers getting complete access to books, authors gain more respect in the society and popularity which in turn helps them to sell more of the reprints. Two prime fears are keeping many publishers away from releasing their books online for free: the fear of going out of business and the fear of losing ownership of content. But at the same time, some of the publishers are becoming aware of the mass media outreach and winning hearts of many readers by releasing content for free without copyright restrictions. In 2013, Goa University released Konkani Vishwakosh, a Konkani-language encyclopedia in CC-BY-SA 3.0 license that they had published. This is the largest encyclopedia compiled in the language. The book is being digitized on Konkani WikiSource and content from it is being used to enrich the Konkani version of Wikipedia. The project additionally brought about 20 active contributors for digitization. 11 books from Odia author and academic Dr. Jagannath Mohanty were re-released under the CC BY-SA 3.0 license by the “Manik-Biswanath Smrutinyasa,” a trust founded by Dr. Mohanty for literary discussions and upbringing new writers. His wife and trust’s current chairman Allhadmohini Mohanty formally gave written permission to release and digitize these books. The Odia Wikimedia community is planning to involve undergraduate students of an indigenous educational institution, Kalinga Institute of Social Sciences, to digitize these books. The trust is also reaching out to publishers who published more than 150 of the author’s books to give permission for re-releasing them under a CC license. The book is heavy and expensive for any normal reader. Enormous copies were sold after Odia was declared as the sixth Indian classical language; however, this did not stop the authors Dr. Debiprasanna Pattanayak and Subrat Prusty from changing the license term from All Rights Reserved to CC-BY-SA 3.0. 600-plus pages full of historical documents and manuscripts along with many undiscovered areas of Odia language’s literary heritage of more than 2500 years are now going to go on WikiSource and enrich Wikipedia articles apart from being great resource for language researchers. Two Odia language books by linguist Subrat Prusty, “Jati, Jagruti O Pragati” and “Bhasa O Jatiyata,” have been relicensed. These are few of those thousand books in those the text are typed with fonts with ISCII standard and not Unicode. ISCII standard fonts have glyphs with Indic characters that are actually replacements of the Latin characters by Indic characters. So, a computer with one particular font not installed will display absurd characters. The publication and printing industries still use these fonts as the desktop publishing software package they use for typeset do not have Unicode engine to render the fonts properly. The conversion from these ISCII fonts to Unicode is a way that is going to be used for digitizaing these books to convert the entire book with searchable Unicode content. Here at CC, we’re big fans of the Blender Foundation, which supports the open-source Blender 3D animation suite and produces beautiful animated films. The films are built entirely with open technologies and are licensed under CC BY. Big Buck Bunny, one of the early Blender films, raised a lot of awareness about Creative Commons licenses among animators and helped fuel the Creative Commons film movement. There’s a real growing unrest out there about how a few greedy people control this business – making their billions – while others lose jobs in the same week their company has won an Oscar. Yep, Mark Z. buys another toy for billions, which he makes by selling our digital lives. And we nerds just line up for yet another Marvel super hero movie again. Meanwhile the powers that be prepare for a separated internet – with fast and “free” commercial channels – and a slow, expensive one for the remains of the open internet we love. I’m not fit for politics, nor do I feel much like protesting or mud slinging. I’m a maker – I’m interested in finding solutions together and doing experiments with taking back control over our digital lives, our media, and especially get back ownership as creative people again – and make a decent living with it. The crowdfunding campaign ends this week. Check it out! Creative Commons actively works to support foundations, governments, IGOs and other funders who create, adopt and implement open policies. We believe publicly funded resources should be openly licensed resources. To support these and other emerging open policy efforts, CC is about to launch, with multiple global open organizations, an Open Policy Network and Institute for Open Leadership. The U.S. Department of Labor (DOL) has led the way in using open policy requirements in solicitations for grant requirements first with its Career Pathways Innovation Fund Grants Program (http://www.doleta.gov/grants/pdf/SGA-DFA-PY-10-06.pdf), then with its Trade Adjustment Assistance and Community College Career Training grant program (doleta.gov/taaccct). Now they are once again requiring the Creative Commons Attribution (CC BY) license on all content created with the grant funds and modifications made to pre-existing, grantee-owned content using grant funds in their Ready to Work Partnership grant program. Bravo! To ensure that the Federal investment of these funds has as broad an impact as possible and to encourage innovation in the development of new learning materials, as a condition of the receipt of a Ready to Work grant, the grantee will be required to license to the public all work (except for computer software source code, discussed below) created with the support of the grant under a Creative Commons Attribution 4.0 (CC BY) license. Work that must be licensed under the CC BY includes both new content created with the grant funds and modifications made to pre-existing, grantee-owned content using grant funds. This license allows subsequent users to copy, distribute, transmit and adapt the copyrighted Work and requires such users to attribute the Work in the manner specified by the grantee. Notice of the license shall be affixed to the Work. For general information on CC BY, please visit http://creativecommons.org/licenses/by/4.0. Instructions for marking your work with CC BY can be found at http://wiki.creativecommons.org/Marking_your_work_with_a_CC_license. Questions about CC BY as it applies to specific Ready to Work grant applications should be submitted to DOL to the Grants Management Specialist specified in Section VII. Only work that is developed by the grantee with the grant funds is required to be licensed under the CC BY license. Pre-existing copyrighted materials licensed to, or purchased by the grantee from third parties, including modifications of such materials, remain subject to the intellectual property rights the grantee receives under the terms of the particular license or purchase. In addition, works created by the grantee without grant funds do not fall under the CC BY license requirement. The purpose of the CC BY licensing requirement is to ensure that materials developed with funds provided by these grants result in Work that can be freely reused and improved by others. When purchasing or licensing consumable or reusable materials, grantees are expected to respect all applicable Federal laws and regulations, including those pertaining to the copyright and accessibility provisions of the Federal Rehabilitation Act. Further, the Department requires that all computer software source code developed or created with Ready to Work grant funds will be released under an intellectual property license that allows others to use and build upon them. Specifically, the grantee will release all new source code developed or created with grant funds under an open license acceptable to either the Free Software Foundation and/or the Open Source Initiative. Separate from the CC BY license to the public, the Federal Government reserves a paid-up, nonexclusive and irrevocable license to reproduce, publish, or otherwise use, and to authorize others to use for Federal purposes: the copyright in all products developed under the grant, including a purchases ownership under an award (including, but not limited to, curricula, training models, technical assistance products, and any related materials). Well done U.S. Department of Labor for once again demonstrating how to properly implement an open policy. 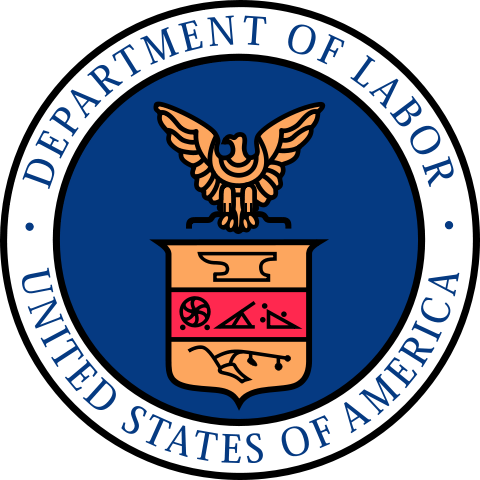 The U.S. Department of Labor seal is in the public domain. Creative Commons received a grant from the William and Flora Hewlett Foundation to survey the licensing policies of private foundations, and to work toward increasing the free availability of foundation-supported works. We are still pursuing this objective, but here’s where we are at the moment. Tax-exempt private foundations are non-profit institutions exclusively devoted to benefitting the public, by grant-making or direct activities designed to achieve charitable, scientific, educational or similar purposes. Because there is a limit to the funds available to even the largest private foundations, most try to use their resources in a way that will have the greatest impact on the problems they hope to solve. Thus, they make grants to organizations that have shown themselves to be particularly effective in achieving their social goals. One avenue to greater impact that has not been followed as often as it could be is requiring, or at least encouraging, grantees to make any grant-funded works freely available for broad uses by others, so that those works can not only be distributed for education and research, but readily improved and built upon to create new works in a potentially unlimited trajectory. Even assuring public access just to read the works is important. To take one example, foundations often fund research that is relevant to the welfare of the world’s poorest people – who often live in countries where their own researchers can’t afford to subscribe to the journals in which the work is published. Making articles on advances in medicine available through the internet can speed the transfer of knowledge to places where it is urgently needed – often by years. Licenses that give people the right to download, print and distribute those articles, and to translate or otherwise adapt them to local needs, multiply the already-great value of simple access. Increasingly, government agencies and intergovernmental organizations are adopting open policies for copyrightable works and data they create or commission. For example, all grants under the U.S. Department of Labor’s Trade Adjustment Assistance Community College and Career Training Program require that copyrightable materials produced be licensed under a Creative Commons Attribution license, so that those materials may be freely used by all, eliminating the need for costly replication of effort as community colleges put together courses to train workers for new jobs. Foundations have typically made the same requirement for works produced under grants to develop open educational resources, but only a few have extended the requirement to grants for other purposes. We believe that in almost all cases, the copyrightable works produced with grant funding, as well as works concerning the problems the foundation seeks to address that are created by expert staff or commissioned by the foundation from external experts, will have more impact on those problems if they are published under an open license. In speaking with foundations, we have learned that most of them agree with this in principle – and it’s on their list; but limited time and unlimited demands mean that the issue usually doesn’t get to the top of the list. There are, of course, grants a part of whose purpose is to provide the grantee with a source of income; in some (but not all) such cases, the income can only be realized by selling copies of the grant-funded work rather than by providing ancillary services. Obviously, it would not be rational to insist on the work’s being openly published in those few cases. We believe that it is appropriate and desirable for a foundation to adopt principles that cover the large majority of its grants, not to invite requests for exceptions, but to be prepared to relax its policy when it furthers the grant purpose to do so. We have accordingly drafted a model intellectual property licensing policy for foundations, covering their own works as well as grant-funded works. The draft has been vetted by a dozen or more foundations, and has changed significantly as a result of their input. The current version includes a set of alternative provisions to fit some of the variations some of the foundations have told us they would prefer. It remains a draft in the sense that any foundation should feel free to edit it to suit its own needs, and we have accordingly dedicated the current version to the public domain so that not even attribution is required. Of course, we’d love to hear from any organization that adopts it in any form, and comments will always be welcome. This guest blog post was written by Niki Korth. If you’re in the Bay Area, come see Marc read from his new book at City Lights Thursday night and come hear Niki speak at next week’s CC Salon. In 1996, Marc Weidenbaum founded the website Disquiet.com, which focuses on the intersection of sound, art, and technology. He has written for Nature, the website of The Atlantic, Boing Boing, Down Beat, and numerous other publications. He initiated and moderates the Disquiet Junto group, where musicians respond on SoundCloud to weekly Oulipo-style restrictive compositional projects. He developed the sound design with Taylor Deupree for the 2013 documentary The Children Next Door. Since 2012, he has taught a course he developed on the role of sound in the media landscape at the Academy of Art in San Francisco. He cites Creative Commons as a major inspiration to his work and methodology, and recently paid homage to cherished CC advocate Bassel Khartabil through a Disquiet Junto prompt themed around one of his projects that remains unfinished due to his ongoing imprisonment in Syria. His new book, Selected Ambient Works Volume II, in Bloomsbury’s 33 ⅓ series, takes as its subject the 1994 Aphex Twin album by that name, and much of it is concerned with the album’s “cultural afterlife,” how our understanding of the music has been informed by its adoption by filmmakers, musicians, choreographers, and others. In the following interview, Marc discusses his projects, influences, and his perspective on the role of CC in the music community. Where does the name Junto come from? And how is it pronounced? Around the year 1727, when he was barely into his 20s, Benjamin Franklin had the desire to create a small society. He was an enthusiastic society-creator throughout his life. It can be informative to think of the United States of America as just one of the many clubs that Franklin created or helped create, along with militias, schools, fire departments, and so forth. “Junto” was the name he gave to one of his earliest such groups. I believe he imagined it to be a masculine version of “junta.” As for how it’s pronounced, this is at best a guess, but I think it’s pronounced like the Spanish “junta” — which in English we tend to think of primarily as a “military junta” — except with an “o” at the end, as in the English-language word “flow.” Add in whatever constituted a Boston accent at the time. Franklin’s dad was born in England and his mom, I believe, was born in the colonies. Franklin described his Junto as a club of “mutual improvement,” and it involved regular meetings of men — exclusively men, such were the times — from various walks of life who would meet to discuss politics, philosophy, and business. It was a knowledge-sharing union — part book club, part meatspace chat room, and probably to some extent part fraternity. I first came across the Junto when I was consumed by a biography of Franklin written by Walter Isaacson, having earlier read and enjoyed his biography of Albert Einstein. I was reading the Franklin book in the months that lead up to the creation of the Disquiet Junto, toward the end of 2011, and in many ways I don’t think that I would have ever started this group if I hadn’t been reading that book at that time. I was always a fan of Benjamin Franklin. I grew up on Long Island in New York, so Philadelphia and Boston and the whole revolutionary period were very close at hand, very prominent in regional memory. My hometown, Huntington, has numerous of these little plaques on the exterior walls of old buildings saying that so and so slept here or so and so died here back in the day. I turned 10 in the summer of 1976. I was an opportune age to have the Bicentennial play a huge role in my imagination. When you say that the Disquiet Junto project wouldn’t have come into being if you hadn’t read that book, are you saying that the act of naming sort of brought the project into fruition? Anyhow, having a vague historical precedent in mind meant adopting a history, looking to precedents, like the Junto of Benjamin Franklin, and more recently to the artistic movements known as Fluxus and Oulipo. In making creative work, I think it is important to think about who your “parents” are — that’s parents in the metaphoric sense — and you sort of adopt them, creating your “inheritance” of traits, rather than the other way around — you recognize them after the fact. This isn’t about laying claim to legacy; it’s about acknowledging influence, precedent, culture. And I think that’s one of the key aspects of the idea of the Creative Commons as a community, when you think about it in the long term. It’s the idea that open licenses develop an “ecosystem” that enables you to create a collaboration and a lineage not only forward, where others are free to later do the same toward you, but backward, retroactively. I’m hesitant to say the word “ecosystem” because when it’s used these days it can easily be replaced with “shopping mall” — the Apple ecosystem, the Android ecosystem — but it’s the best word for what I’m trying to get at. If Junto and Oulipo and Fluxus are the adopted histories, what is the more immediate history that led up to Disquiet Junto? Something important for me happened in 2006. I’d been running my Disquiet.com website for a decade at that point. And that year, Brian Eno and David Byrne were celebrating the 25th anniversary of their album My Life in the Bush of Ghosts, one of my favorite records, and they did a very simple thing that was informed by Creative Commons. They posted online the stems, the core constituent parts, of two songs off this record, and they said to the world: you can remix these, for free. And at the time, I was not unfamiliar with this concept, but I was relatively unfamiliar with the idea of someone that prominent doing this so comfortably. I was a very big fan of remixes. Remixes form a huge part of the way that I understand music. I remember when I was attending college, in the mid-1980s, buying an extended version of a song that I liked, by an Australian band called INXS, and I remember being astonished by how listening to the remix could kind of make you completely rethink the way that you relate to the original, and that moment was really important, realizing that altering something does not detract from the original, but can enrich your understanding of it. Part of the reason that particular remix registered with me was because it sounded the way the music sounded in my memory — the parts I liked, the parts my memory would often play on repeat when I wasn’t actually listening to the original version of the song. So, anyhow, back in 2006 I checked out the Eno-Byrne website for their Bush of Ghosts remix project and listened to the music that was created using their stems, and although I was inspired by the idea of this thing, I just couldn’t stand listening to it. The resulting works were just really uninteresting to me, mostly bland house and routine techno tweaks of the source material. I was disappointed — it was crazy that some of the best music that I’d ever heard was being turned into something so lackluster. So my first thought was — my immediate thought was — why isn’t so-and-so doing this, what would it sound like if person X did a remix based on this material. I wished that people whose music I admired would contribute to this Eno-Byrne thing. And so I sent out emails to some of these musicians to see if they would participate, and I don’t think anyone said no, if memory serves. This led to the compilation Our Lives in the Bush of Disquiet featuring Roddy Schrock, Stephane Leonard, John Kannenberg, Mark Rushton, and (DJ) Morsanek, among others — a dozen acts in total. I initially posted the compilation at archive.org and, later, at the Free Music Archive. Between downloads and streams, it’s nearing on 80,000. That project led to a series of such projects, each of which followed a similar approach. I would come up with an idea, send out the description, and collect pieces by the invited musicians. Despite the Downturn took issue with a peculiar article about filesharing by Megan McCardle. Anander Mol, Anander Veig was a holiday remix album commissioned by Tabletmag.com. Lowlands: A Sigh Collective was a response to criticism of artist Susan Philipsz winning the Turner prize in 2010. And then LX(RMX): Lisbon Remixed involved the sounds of the city reconstructed by eight musicians — including Steve Roden and Stephen Vitiello — as inspired by a photo exhibit by Jorge Colombo, best known as the artist who does “the iPhone covers” for the New Yorker, though he is much much more than that. And all these projects of mine were posted for free download, with a Creative Commons license. My next project after those was significantly more open-ended. I got 25 musicians to make pieces of ambient music based on each other’s Instagram photos: essentially they were asked to imagine that the assigned image was the cover of their next single, and to then go and record that single. It’s titled Instagr/am/bient. That came out at the very end of 2011, five years after the Bush of Disquiet project, and between Free Music Archive, SoundCloud, and the Internet Archive, Instagr/am/bient is nearing 120,000 streams and downloads. This project was as essential an experience for me as was the Eno-Byrne Bush of Ghosts remix opportunity. Several things made Instagr/am/bient different, key among them that it was more of an open call than my earlier, invite-only projects, and because the compositional prompt was also less deterministic. My experience of it was also different — I came to be interested in how a group of 25 musicians doing something had a lot more energy, a lot more online communication, than a group of 8 to 12 musicians had in the past. Instagr/am/bient was a self-contained Creative Commons community — they each made music based on each other’s photos. I wondered, then, what would happen if I opened the floodgates wider still — and that thinking in turn led me to try out what became the Disquiet Junto approach. Could you say more about this collaborative aspect of Instagr/am/bient and how it led to your conceptualization of the Disquiet Junto? The important aspect of the Instagr/am/bient project was the fact that the musicians were supporting each other, and the relationship wasn’t just between the musicians and the audience, but amongst the musicians themselves. Each participant was creating the “prompt” — the Instagram photo — that served as the inspiration for another’s composition, as well as taking one of the prompts for their own composition. So the process created an “ecosystem” — there’s that word again — where the musicians themselves created the energy source — forgive the somewhat hippie tone to that phrase — for the project. In turn, by sharing the “final” product with a Creative Commons license, those who are listening in on the conversation are allowed to actually join the conversation, and potentially expand it into a new conversation. So listening becomes a context for production. As one example, an Instagr/am/bient track by the OO-ray, aka Ted Laderas, who is based in Portland, Oregon, titled “Silhouettes,” based on a photo by Naoyuki Sasanami, who is based in Tokyo, Japan, has been used subsequently in dozens, I think, of videos by various people. This experience of Instagr/am/bient was a big part of making me think: Wow, what if that unexpected result was the goal? What if I decreased the importance of the listener-as-consumer, what if the listener is secondary, and the interaction of the musician-participants is primary, but we as listeners can still enjoy the end result, and listen in to the “conversation,” to observe the interaction between the musicians. To be clear, this isn’t to put aside the role of the listener-consumer — just to delay it a step, and to first extend the musician interaction. How does this idea of diminishing the role of “the listener” inform live performance? We’ve done four Disquiet Junto concerts so far. They’ve happened in New York, Chicago, Denver, and San Francisco. The thing I explain before each of them is: We’re all here in the audience to watch and listen to a concert. But what we’re really here to do is to watch the musicians interact with each other. At each concert, everyone performed original work based on the same compositional prompt. This sort of changes the concept of “listening” — it’s like, don’t just watch the people playing and absorb it, but watch them interact, watch how they pass the proverbial baton to each other, watch how they in the audience themselves react to the performances. So it’s sort of like having the online version of the Disquiet Junto collaboration happen in person. So, is it a live composition among the group of participants? Are they making new compositions, or playing preconceived works from the original prompts? So far, these live Disquiet Junto concerts have all involved around five to seven solo performances per concert, though some of the participants bring in collaborators. Each concert has a prompt from the Junto as their subject. If memory serves then so far they’ve all used the same prompt, which is the first prompt from the Disquiet Junto project series: record the sound of ice in a glass, and make something of it. I should mention that the Creative Commons was a significant influence on my Selected Ambient Works Volume II book. Much of the book is concerned with what I term the album’s “cultural afterlife”: that which happened to the music after it was released. I explore how the album’s tracks, which are all but one lacking titles, were given names by listeners. I interview a composer who transcribed the tracks for traditional chamber music ensemble, and two directors who used the music in their films, and a choreographer and sound designer from two different contemporary dance ensembles who used the music in performances. I talk about unofficial, unlicensed remixes, as well as official, sanctioned licensing of the music. My sense that our understanding of the album has been informed by these subsequent uses takes a cue from the old Brian Eno and Peter Schmidt koan from their Oblique Strategies set: Repetition is a form of change. The music itself hasn’t changed in 20 years, but its repeated use and reuse has changed our understanding of the music. It sounds like a lot of your projects involve you acting as a facilitator, or framework builder, of collaborations. Is it difficult for you to imagine doing this without access to a large network of musicians, as you have? In other words, do you have any advice for people who may be interested in trying to do something similar, but don’t have access to as wide of a network? Well just to begin with, it’s totally cool that you used the word “network,” but that’s a word that I tend not to use. There’s something a little possessive inherent in the term that doesn’t feel collaborative to me. It’s kind of OK as a noun, but as a verb it really is not a word I’m going to use. Because it’s only one person’s network? What about “internet”? As a word or concept, not the internet itself? Since what we understand as the Internet is a network of networks, that would seem to emphasize the connections and overcome the possessive character of the term. I’m not sure I’m ready to use it that way, but I do like this idea of using the word “internet” to describe something that is not “the internet.” This discussion reminds me of a recent interview with Kim Stanley Robinson, the science fiction writer, where he says something similar about the word “sustainable.” He takes issue with it for various reasons, key among them that it allows people to continue their capitalist and consumerist ways without reflecting on the role those ways play in the issue in the first place. He tries out a different word, “permaculture.” Rather than “it’s sustainable so I’ll buy it,” this other word emphasizes that it is permanent, so it’s more like “it exists, and I’m going to continue to use it.” So, I feel like “network” is like “sustainable,” and I’m trying to find a “permaculture” alternative to it. Perhaps “community.” Perhaps “internet” could work. Doesn’t feel quite right at the moment, but it’s an interesting nudge in the right direction. Come to think of it, pretty much the only time I think I actively employ the term “network” is in terms of “network” — or “networked,” more often — communication and creativity, which aligns with your “internet” idea. Anyhow, with that “network” stuff out of the way, let’s get to your question. So, for people who don’t have a wide address book of potential collaborators but want to try building something like Disquiet Junto, I would say: Just work with the people you know. Look, I didn’t think that I had this “network,” either. Sure, I had gotten to know musicians, mostly tangentially, over the years, and I knew that a sizable percentage of the audience of my Disquiet.com website self-identified as musicians, in contrast with “listeners who don’t make music.” But when I posted the first Disquiet Junto project, I felt like I’d bought a keg of beer for a party that no one might even show up for. If you’re creative and you have a group of like-minded people who inspire you, then that’s your group. It doesn’t take much. It’s not about an end result. It’s about an ongoing, refreshing, rewarding sense of engagement. Just work with the people you like working with, and it’ll build from there. This isn’t about scale. It isn’t about: Well, we have this many hundred participants, but how do we get to a thousand? You don’t make a garden in your backyard and start worrying about increasing your tomato haul or the density of flowers. You just tend to it, and watch it grow, shaping it as it goes, as time passes, as the seasons change, as you learn from experience. Man, first “energy source” and now “online community as a garden.” I sure can come across like a digital hippie. Please let people know that’s not how I come off in person. So how did you first become interested in Creative Commons? How did you first hear about it? I have no idea. I mean, I have no specific memory. I imagine that it was an article in Wired — because back then, that was the main channel through which things like that were communicated. Or maybe, since I was into the Internet Archive so early, it could have been through there that I saw a license, and then I followed that through. Since 2012, I’ve taught a class at the Academy of Art on the role of sound in the media landscape. I talk in the class about an early open source text, The Cathedral and the Bazaar by Eric S. Raymond. And I talk about the ideas discussed there – about the decentralized, at times frenzied and random organization of a bazaar and how it contrasts with the perfection-oriented, often exclusive and severely hierarchical mindset of the cathedral as an organization. And even though this book was released in 1999, which is already 15 years ago, and Creative Commons was founded just 2 years later, many students are not aware that these alternatives to closed-source, super-hierarchal production methods exist. That said, they’ve come up in the culture, so it isn’t alien to them. It can be exciting for them to think about these alternatives – that by sharing and enabling more eyeballs, or eardrums, to encounter your work, you can get better feedback that helps you to develop it, and very often giving people the license to remix your work can help you to see and hear it in ways you never imagined before. More important that that, the model of the Creative Commons maps in ways to human interaction that the more traditional marketplace model does not. Have you had any non-computer or non-music based experiences that have also contributed to your sharing-driven creative outlook? One specific experience comes to mind: I took a two-week trip by myself to Scotland when I was in my mid-20s, and I was amazed by the “Right of Way” laws in the United Kingdom that permit free travel on certain routes between public places, even when those routes involve passage through an area of private property. This was completely mind-blowing to me at the time, since I came from the United States where “private property” is synonymous with “restricted” and “off limits” and often involves someone who’s more likely to shoot than to call a lawyer. When I was in Scotland I walked along these Right of Ways, completely fascinated by the opportunity, the concept, and the experience. And there is a connection between this idea, and these memories, and what I’ve done since that point in my life. There’s something in that walking through the shared geography of Scotland that relates to how I think about culture. In the early 1990s, my head was deep in what some people tried to call “avant-pop,” especially writers like Jonathan Lethem and David Shields, who were doing inquisitive meta-works that involved pre-existing texts and drew from influences in an acquisitive manner, and to me this relates to the idea of property being left open for creative use. It’s like a creative stroll. I also think about how artistic awards shape culture. I’m not a big fan of things like the Oscars. Think about contemporary Hollywood films. Their composition and construction is often motivated by the pursuit of the Oscar, and the Oscars in turn dictate that movies have to operate following certain types of roles, with main stars, supporting roles, and so on. Imagine if the system was changed, and there were an Oscar for the best ensemble drama. The very next year there would be movies that de-emphasize a main role in favor of a collection of roles. This isn’t just about the Oscars. There are reward structures throughout culture that define the way that people and works participate, how they’re conceived. The law plays a role. The law codifies the way that music is handled and that defines how cultural objects are shaped. I’m not saying get rid of the law. I’m saying look at the unintended ramifications of the law. What was your motivation behind doing the Disquiet Bassel project? Just about every Disquiet Junto project originates not as a project but as me thinking about things and trying to shape my thoughts into the form of a compositional prompt. I don’t set out to make a project involving the tone of rooms. I become fascinated, for example, by the idea of room tone and then I try to figure out how to explore that fascination by asking people to make music related to the idea. I try to turn my interest into a compositional prompt as a means of exploring it further. So, what happened with the Bassel situation is that I was taken by several factors, in particular the passion of people whom I admire, such as Barry Threw. I knew about the Free Bassel activity, and had talked with him about it, but a video I saw of him speaking really hit me. I read a lot of Kafka at way too young and impressionable an age, so the idea of prison is a powerful one for me, especially wrongful imprisonment. Although I’ve never met Bassel Khartabil, I read about his activity in the open-source community and about his work promoting Creative Commons and the role of open source in a part of the world that has a very different take on freedom of expression, and I was really moved by it all. And I was aware that, with the second anniversary of his arrest coming up, the timing was useful to get people’s attention. Could you say more about the idea of risk-taking, and the process of facilitating collaborations and open submissions that can be very unpredictable? It was several months into the Disquiet Junto when I realized that part of what made it function was that people who participated felt comfortable failing. Initially the idea of the four-day window for participation in each project was to give people a solid deadline. But an unintended result was people felt comfortable posting work because listeners would understand that the work wasn’t necessarily finished. It gave them an “out.” A community of people making music under the same restrictions can be, in its own way, freeing. I think we had like 40-60 participants the first week that I did Junto. At the time I didn’t even know if there would be a second one. At the time it felt like hubris that there was a four-digit number for the project — “0001″ — which is certainly a naming structure that I borrowed from the Long Now Foundation. You know, how they have a zero before the year to make you think in terms of 10,000 years, not 1,000 years? For example, right now it is 02014, not 2014. Who knows if we’ll actually get to one thousand? Who cares? I like this idea of a numbering system that forces you to think about the future, whether or not you get there. What areas of the future are you forcing yourself to think about? I’ve been really interested in the idea of what a record label is, and in many ways I think that the best record labels are like communities. Think of the acts that were on Motown, the acts that were on Blue Note — they were more like subsets of a broader, loosely structured community that the audience was able to get a taste of through the release of the music. Musicians and songwriters would move between albums, between groups. A backup singer or instrumentalist would later be a headlining musician, and the audience was along for the ride. Whereas record labels now are more like marketing firms that find the act and then obtain the rights, so it’s more like licensing products. Sure, there are collaborations. Elektra, ECM, Ghostly, and Warp are great examples of record labels where artists still intermingle in interesting ways. I am really interested in: What should a record label be like today? How has the Internet changed things. If you were to reverse-engineer a record label, then I feel like the Junto is closer to what a record label might try to be than an actual record label is today. I think it’s always important to ask, when you import something to the digital world, when you port a pre-digital system to a digital system: How does it change, and what pre-Internet assumptions have come along as baggage? And in saying that, it’s important to clarify that when I talk about Creative Commons licenses, I’m essentially always thinking of it in terms of a particular license, which is the one that gives the ability to remix, the one that allows for “derivative” works. And I’m troubled by the fact that a lot of Creative Commons use does not actually employ that. For example, I’ve written a lot about the netlabel community. There are about 600 netlabels at this point that actively release music by musicians with the permission for that music to be downloadable for free. And that’s an incredible world of music. But an oddly small percentage of those netlabels employs the license that allows for creative reuse, which I find disappointing. So I’m always pushing for people to think beyond the non-commercial download, and to think about the creative re-use. I’m also wrestling with the word “derivative.” It seems to have a negative cast to it. There may be a better word, a word that makes the benefits more self-evident. What interests you about creative re-use? Why do you think it is important, for yourself as well as others, and how did your view of it impact the prompt you created for the #FreeBassel Disquiet Junto? I don’t take much stock in fixed cultural objects as ends unto themselves. For example, I don’t really have favorite movies or books — I love Citizen Kane, Dawn of the Dead, and Playtime, but I especially love them in the context of their creators’ other work. I have favorite authors, favorite directors, favorite actors, and I enjoy work in that context. When I read a Don DeLillo novel, or a Mira Grant novel, or a Richard Stark novel, or a Michael Brodsky novel, or a Joanna Scott novel, or one among many types of things — novels, comics, essays, tweets, Instagram captions — by Warren Ellis, I enjoy it in the context of their broader work. Same for musicians and architects, even journalists and politicians. And that’s just speaking of the individuals’ own “careers,” for lack of a more nuanced term. An original piece of work is also part of a broader community, part of various ongoing continuities — it’s about the type of work that it is, how it fits into the broader scope of that work. You don’t just write a sonnet from scratch. It is always informed by and reflects back on previous sonnets. You always draw material and references, often subconsciously. So, I started thinking about the work that Bassel hasn’t finished due to his ongoing imprisonment, such as his Palmyra project, which involves mapping an ancient architectural site using computer graphics. And I thought: this is something that we can help to keep alive, while he’s not around. And not only can we keep his projects going, but we can do so in new and unexpected ways. We aren’t taking his CGI architectural endeavor and completing it. We are, in the course of the Junto project, creating sound and music to accompany his work. This is something he might not have even considered. There’s something, also, metaphoric about how adding sound to his CGI work brings that work to live. This idea of keeping something alive, of keeping his ideas alive, is part of the reason the idea struck me as worth pursuing. What did you think of the resulting works? In reading through the comments people wrote about the story behind each of their compositions, I was really interested in how many people researched the history of Syrian music and integrated some of these sounds/ideas into their works. This adds a lot of depth and also brings it away from being political, approaching it more from an angle of cultural history. I’m always anxious when I do anything related to social or political issues in the context of a work like the Disquiet Junto. I generally steer away from it. It’s amazing how a turn of phrase can turn something from a collaborative project into a heated side conversation, so I am always trying to create a situation that is warm and inviting. In this case, that meant something that came from a place of mutual concern and caring about this person, about Bassel, about creative work that has been cut off. For the Junto members, I think the idea of the unfinished artistic project was what they related to in particular. I didn’t want people to be put off by it in the sense of thinking their compositions needed to address the political situation, necessarily. It was important to me that the Bassel project wasn’t “special,” that it was just another project in an ongoing string of projects. It could only work if we treated it as business-as-usual. Part of business-as-usual is asking people to, when posting their tracks, describe their creative process. That’s where a lot of the communication between the participants occurs — that and them commenting on each other’s tracks. And this isn’t to say all my projects are pacifist, but the ones with a strong unified opinion, like Despite the Downturn and Lowlands: A Sigh Collective, are focused on art as their primary subject. You make reference to Oulipo as an influence behind Disquiet Junto. Could you say more about this? What relation do you see between Oulipo and creative reuse, especially in the digital age? The most concise way to get into that is to compare it with another popular form of creative reuse: fan fiction. Fan fiction often works within the universe created by and defined by the source material, whereas Oulipo tends to walk up to the edges of that universe and say, “Oh, there’s a wall here, so let’s break through it or paint on it” or something like that. The difference isn’t a binary one. Lots of fan fiction actively flips the source material, changing gender, setting, plotlines. Oulipo is a little less of a collective, communal effort, and often works with material that isn’t as hallowed as the subjects of fan fiction, but the parallel is clear. I think Oulipo — along with Fluxus — exists as a keen pre-digital premonition of the collective consciousness that seems at work within, that seems alive within, communal creative activity. The first official translation of CC0, into Dutch, is now published! Congratulations to CC Netherlands and CC Belgium, who collaborated on the work. We are excited to mark this event. CC0 and the 4.0 licenses are designed to be as fully international as possible, and to support that goal, they should be available in languages everyone reads. (Ported versions of 3.0 and earlier have generally been published in the official language(s) of the appropriate jurisdiction, but the ported licenses are not equivalent to the international licenses and may not be substituted as references.) Working with our affiliate teams to produce official translations is a detailed, painstaking endeavor, involving a lot of correspondence on precise word choices, and the first teams have been tremendously helpful to us as we developed the process. There are several teams currently working on more translations of CC0 and the 4.0 licenses, so look for more announcements in the coming months. CC0 was launched in 2009, and is designed to allow creators to dedicate their work to the public domain by waiving all their copyright and neighboring and related rights in a work, to the fullest extent permitted by law. If the waiver isn’t effective for any reason, then CC0 acts as a license granting the public an unconditional, irrevocable, non-exclusive, royalty-free license to use the work for any purpose. CC0 has been adopted widely by institutions, governments, and individuals for data and other material that can be freely reused without restriction. All language versions of CC0 now indicate that official translations are available. This is the final installment in our five week blog post series on the Affiliate Team project grants. You’ve heard about projects in Africa, Arab World, Asia-Pacific, and Europe. Today, you’ll hear about projects from our Latin America region, including: a report on the evolution of the academic journals’ presence and dissemination in Chile, a School of Open course for librarians on copyright led by Colombia, El Salvador, and Uruguay, and a free music festival and open source website from Guatemala and Uruguay. In Derechos Digitales, we have been working almost 10 years on copyright and access to knowledge issues, by doing public advocacy on copyright reform and working with Creative Commons licenses to enable all kind of creators to share their works in the digital environment, through the use of these tools. One of our stronger research lines has to do with scientific and scholarly work, how this knowledge is being disseminated, and how we can improve that process to make this information accessible to everybody interested. Following that path, since 2008 we have been researching academic journals production and their publishing terms, along with creating legal guides to academics to get a sense of how to use CC licenses and make them able to share their work. That allowed us to publish a couple books with our findings and internal policy recommendations. Thanks to the CC grant we were awarded, we have been able to resume that work, updating our figures from the 2008 research and taking one step further, conducting field research on the academic community about the way they publish and manage that content, and if they are aware of the CC and Open Access movements. At this point, we have interviewed scholars from the major Chilean universities in different fields on exact and social sciences to be aware of their perceptions and needs regarding open access. In parallel, we are researching academic publications to determine how the situation has evolved from 2008 to this day, in terms of journal continuity but also in terms of how these deal with publishing formats and licensing terms. We hope, by April this year, to have a step forward on our diagnosis of the academic dissemination environment, and with more insights of the academic world, a report that speaks on the evolution of the journals’ presence and dissemination. We also hope to have performed a couple workshops with government officers and academic community, in order to boost open access and open licensing initiatives. A CC grant made possible that since August 2013, three Creative Commons chapters -Colombia, El Salvador and Uruguay- are working to adapt an online course for librarians about copyright and with an eye on the Open world. The project aims to develop the necessary open educational resources (OER) for an online course, self-taught and in Spanish, that will be available through the School of Open, and eventually in the OER projects of the chapters developing the course (i.e. Internet Activa and Artica). Why Basic Copyright Concepts for Librarians? It is not a secret that many librarians and libraries in Latin America work with little or no knowledge about the copyright frame. We want to offer this target group and other related professionals (e.g. academic researchers, teachers, OER developers, librarian students, archivists, museum workers, all those interested on heritage conservation, etc.) the basic knowledge for their work. We believe that this knowledge is much needed right now and will also be useful to promote CC licenses among librarians in the region. The material in this course will be open as a self-guided course that can be tapped on demand — individually, at a user-preferred time and date. Moreover, the course can be harnessed as a group, from a collective or specific institution, to be facilitated according to the possibilities and conditions of a given community. We are currently finalizing the legal and pedagogical review process of the last module of the course that we have titled, “ABC Copyright.” The legal review ensures the strengthening of self-learning potential of all students, while the pedagogical review is valuable to contextualize accurately and clearly each module to Latin American culture. We are also working on building a communication strategy which will be essential once the course is published at the School of Open for the dissemination to the audience of this open educational material. We have already developed the graphic concept, which we share as a preview in this post! We are at the stage of creating new graphic elements that will complement some of the most complex issues and will make their assimilation much easier. We are working with love and energy so that very soon all those curious and interested can learn, share and supplement the online course, ABC Copyright for Librarians in Latin America! This project, a collaboration between CC Guatemala and Uruguay, was drafted following the suggestions of six bands who are starting to use open licenses in Guatemala. It represents a unique opportunity to reconnect and expand the open license network in the Latin American music community, consisting of an open call for free music followed by a week dedicated to festivals and concerts in multiple jurisdictions. Each country will have at least ten bands participating, and is combined with training for musicians, producers, artists, and copyright experts to explain artists’ rights, how copyright law affects music, and the power of sharing. The activities will be posted on an open source website filled with the LP of Latin American free music, photos and videos of the workshop, a free music declaration, and showcase of successful cases in Latin America and all the activities of the free music week. Since it’s open source, anyone can use it to recreate the same project in their region or country. I recently interviewed Dr. Phil Venditti, professor of communication studies at Clover Park Technical College in Washington State (USA). Phil teaches public speaking and other oral and written communication courses. In 2010 Phil learned about the Open Course Library project and became an enthusiastic adherent. Phil developed two courses in the Open Course Library, wrote a textbook which he licensed CC BY, and has since saved his students roughly $60,000 by using open educational resources (OER). The Open Course Library was Phil’s first exposure to OER, but it wasn’t his last. He testified to the State Legislature in favor of a bill which would have mandated that all educational materials created by state postsecondary education employees be openly licensed. As President of FACTC — the Washington Faculty Association of Community and Technical Colleges, Phil has promoted adoption of OER by college faculty members throughout his state. FACTC passed a resolution in 2012 endorsing the ideal of OER on economic, educational, and moral grounds. Phil recently went on sabbatical and decided to interview 50 prominent speakers to gather tips on effective public speaking for his students — and for the world because all of Phil’s work and videos are openly licensed under CC BY 4.0 license. Nearly 30 hours of his videos can be browsed at Phil’s YouTube channel. Speakers included in the project are 29-time Emmy winner and “Almost Live” alum Bill Stainton, Tacoma News Tribune Executive Editor Karen Peterson, former NFL quarterback Jon Kitna, Tacoma Mayor Marilyn Strickland, and wildlife artist and conservationist Becci Crowe. To complete the project, 40 of Phil’s public speaking students and a team of editors from Clover Park’s Media Design and Production program spent more than 700 hours reviewing and editing the interviews. When it is launched online in May of this year, the project will offer a database of free, CC BY-licensed materials at cptc.edu/fifty-wise on subjects ranging from how to conquer stage fright to how to organize a presentation. On March 20, the “50 Wise Speakers” project will be presented in a red-carpet gala at Clover Park Technical College. Phil says OER has changed the way he thinks about teaching and learning. Following Phil’s lead, what will you share today? As of today, CC Syria community leader Bassel Khartabil has been in prison for two years. Today, we join the worldwide open community in honoring Bassel and insisting that he be freed. Amnesty International and Front Line Defenders have produced this excellent video about why Bassel’s story is important to our community, featuring interviews with CC co-founder Lawrence Lessig and the Electronic Frontier Foundation’s Jillian York. In honor of Free Bassel Day, our friend Niki Korth has compiled a cookbook in honor of Bassel, featuring recipes submitted by people who know Bassel or are involved with the #freebassel campaign. You can read the cookbook online or download a PDF (469 KB). Niki is planning to release a Version 2 of the cookbook, so it’s not too late to submit a recipe. We honor Bassel today and look forward to the day he is freed. Over the past few weeks, we’ve been featuring some of the amazing activities of our global affiliate network. Learn about a Finnish team building a CC plugin for WordPress, an open data symposium in Japan, a series of School of Open workshops in Kenya, a booksprint in Morocco, and much more. Take a tour of the CC communities in the Arab world, Africa, Asia-Pacific, and Europe. Open educational resources aren’t just a good idea; they’re the center of a global movement that’s transforming how education works worldwide. Browse the resources from Open Education Week to learn more. Longtime CC community leader Bassel Khartabil has been in prison in Syria since 2012. Join the worldwide open community to honor Bassel this Saturday, March 15. If you’re in the Bay Area, join us at the Wikimedia offices in San Francisco. Don’t Look At The Sign! Learn how a proposed US law would weaken public access to federally funded research. Is Getty Images’ new photo embed service a step in the right direction? Join us in San Francisco for a discussion on free culture and social justice. The CC Europe team has been following the proposed changes to EU copyright law. Read their analysis and recommendations. “People should support Creative Commons if they care about what they’re doing, and they want to get their work to as many people as possible; if they care about collaborating with people all over the world together and coming up with something beautiful.” Khalid Albaih is on Team Open. Creative Commons is thrilled to announce that we will be reviving CC salons on a quarterly basis starting March 27! Years ago, CC ran a series of CC Salon events in the Bay Area, informal events that brought together creators of all kinds to talk about how and why they choose open in their fields. CC salons continue to occur all over the world, but on March 27, CC will host a salon on social justice and open innovation right here in San Francisco. This informal event will feature short talks from guests in local nonprofits and the free culture community, as well as lots of interesting people to network and socialize with. It’s free and open to everyone. Bart: Civic Center, Powell St.
Joshua Knox is co-Founder and CFO for BRUTE LABS, a non-profit out to prove that anyone can do good. BRUTEs use design and technology to create sustainable social entrepreneurship. Our small, all-volunteer team has launched 11 projects around the world and across a broad spectrum of causes; from cyclone relief in Myanmar, to clean water wells in Ghana, to a bio-diesel project with Stanford. Our open source altruism has also garnered multiple design awards from AIGA and Adobe as well as partnerships with local businesses, the city of San Jose, Google, Nike, Facebook and many more. Niki Korth is an artist, writer, and free culture enthusiast/activist who resides in the triad of the creative arts, technological literacy, and human rights. Together with Clémence de Montgolfier, she co-founded The Big Conversation Space (TBCS), an art, research, and consulting organization based in Paris and San Francisco that acts as a participatory production platform for books, media, and games involving free speech, art, technology, politics, philosophy, and the occult. TBCS has exhibited and lectured internationally at venues including Palais Tokyo (Paris), TCB Gallery (Mellbourne, Australia), Yerba Buena Center for the Arts (San Francisco), and Human Resources (Los Angeles). Their most recent projects include Letters for Bassel and The #FreeBassel cookbook, both dedicated to creative and participatory methods of advocacy for the release of CC community member Bassel Khartabil, who has been detained in Syria for the last two years. They also have a book coming out in summer 2014 titled I Can Do Anything Badly II, which uses conversational interviews to explore the intersections of DIY and Free Culture in the arts, the internet, sociology, and design. Korth is also an advocate for trees and sustainable urban planning, and works in marketing and operations at DeepRoot Green Infrastructure, a San Francisco–based company that provides arboriculturally-oriented products and services for the built environment. In the spirit of McLuhan but in the age of the Internet – she believes that we all own the message, humans as much as plant life. But the medium may have a mind of its own. Supriya Misra is a Senior Project Manager at TeachAIDS, where she helps lead the development, maintenance, and expansion of TeachAIDS products. Founded at Stanford, and recognized as an innovation that will “change the world” by MIT Technology Review, TeachAIDS is a nonprofit social venture that creates breakthrough software to solve persistent problems in HIV prevention. Used in more than 70 countries, TeachAIDS provides the most effective HIV prevention software to educators, governments, and NGOs around the world – for free. With a background in behavioral health research and expertise in innovative applications of new technologies in preventative care, she has previously worked at HopeLab and the Institute for Brain Potential, and co-authored a handbook on the neurobiological basis for forming positive health habits. She holds an M.A. and a B.A. with Honors in Psychology, with a concentration in Neuroscience, from Stanford University. Rachel Weidinger is the Founder and Executive Director of Upwell, a nonprofit PR firm with one client, the ocean. At Upwell, Rachel leads the development of cutting edge big listening practices. She couples this big data approach with the resiliency-increasing tactic of campaigning across a distributed network to increase online attention to ocean issues. Because of Rachel’s vision, the ocean community knows the baseline of online conversation for its issues for the first time. Previously, Rachel was the Senior Manager of Marketing and Communications at TechSoup Global where she provided marketing vision and leadership for TechSoup Global, and the TechSoup Global Network of partners in 36 countries. She has also worked with social enterprises including NTEN, Common Knowledge, the Black Rock Arts Foundation, SF Environment, Copia, and the Xtracycle Foundation. Rachel has a B.Phil. in Interdisciplinary Studies from Miami University’s Western College Program, and completed the coursework for a masters in Arts Policy and Administration at Ohio State University. When she’s not working to save the ocean, she makes preserves, swims in the Bay, and gardens at her tiny home in San Francisco. She is obsessed with whale sharks. This post is part of a project aimed at mapping myths and obstacles around Open Educational Resources, conducted by Creative Commons Poland. Where do myths about OERs come from? The Open Educational Resources (OER) movement has emerged to transform and democratize access to education. Governments, companies, teachers and learners around the world are making OERs and using them in various ways. But just the fact that there is growing number of projects and people making resources available to copy, remix and share freely does not guarantee a systemic change in education. OER projects around the world face similar barriers: from limited understanding of the idea of OER by decision makers (sometimes educators as well), to PR campaigns directed against openness (1). During many workshops and trainings with teachers and textbooks authors, we found most of the arguments brought against OER to be myths. They are born from confusing OER’s with many things that they are not, and from identifying them as radically different than educational resources produced by traditional publishers. Without efforts to raise awarness about benefits of OER, there is a great risk that pervasive critical voices (coming mainly from commercial educational publishers) will change the attitude toward OER of teachers, learners in all ages and parents of school pupils. Such criticism is widely observed in response to the growing popularity of OERs. It is worth noting that the false alarms start especially when governments start thinking about open educational resources, and invest public funding into their production and support. To help fight these myths and misunderstandings, we started mapping them and providing model answers. We are working on a mythbusting guide that will offer simple, easy to use guidance, in a question and answer format. This can be useful for people advocating OER, as well as educators searching for practical answers for their doubts and journalists writing about OER. We started with a survey among OER community experts and an examination of existing media reports on OERs. It’s interesting that when you take deep dive into press articles, you will find extremely varied opinions about OERs. They are either a mainstream, successful trend in education – or a way to destroy the publishing market and reduce teaching quality. It is much more insightful to ask about OER experts and teachers. Fig. 1. What are most typical arguments you hear against Open Educational Resources? OER community experts survey. This survey mirrors what we can easily observe during trainings for teachers and what so-called “open washing” makes even worse: a popular definition of Open Educational Resources as just free (gratis) resources online. Most of myths about OER are based on this misunderstanding. Furthermore, critique is often not specific to OERs, but to any type of content available on the Internet. For example, OER can be distributed in many formats, including print, so the argument that OER forces specific equipment investments is rather unjustified, as it applies to all digital resources. In reports from Boundless (4) and EduCase (5) published in 2013, we can see significant growth of OER use in Higher Education (research at the K-12 level in this area is still limited). According to EduCase, 71% of respondents say they used freely available open educational resources (OERs) in the past year, 10% of them use OER „all the time”. Both reports covered only university students in the U.S. In other countries like Belgium, Netherlands and Norway we can observe even higher usage of OER. This is a clear effect of well-established programs for providing open digital resources for teachers, supported or even run by the government. At Belgium’s KlasCement platform, one in three teachers have registered and about 70% of Belgian teachers use it. WikiWijs from Netherlands has more than 100% per year growth of the level of remixes of open educational resources available on the platform and is expanding to higher education. It is difficult to present a definitive report, but arguments gathered offer strong evidence of how useful and powerful OERs are. This trend will be growing as OERs are promoted by public institutions and attract users searching for resources that are not only cheaper, but also more adaptable. For these reasons, we should be prepared to answer a growing number of questions about what OERs are, and what they are not. Many organizations wanting to create educational materials find out during negotiations with authors that most of them are ultimately willing to openly license their materials. However this often requires overcoming their personal fears about OERs. Many authors are unfamiliar with the concept of an open license and open educational resources. Even if they hear about them, Saylor.org found that “chief concerns included the loss of control of materials, commercial reproduction, and loss of traffic/ad revenue” (6). Explanation of open licenses is a battle with false perceptions and fears regarding potential profits and losses. Authors and publishers often have preconceptions that publishing in an open model is somehow inferior to traditional publishing. And it’s not only about lowering the quality, but also about losing profits: monetary, website traffic, or the strength of an author’s brand. For efficient discussion and negotiation with educational and scientific authors, it is important to understand how the process works and how they are paid. Teachers often make a lot of resources as part of their work, while textbook authors are often paid through contracts, not based on copies sold. It is important therefore to explain that Open Educational Resources can be produced and distributed in various models – from voluntary work (like Wikipedia) to a contracted, paid and reviewed process like California’s and Poland’s public textbook programs. Authors also tend to avoid thinking about ways of receiving more profits by taking control over their work, instead of depending on intermediaries like publishers. The new opportunities arising from open publishing are diverse and are growing each year, as more and more services and start-ups are focusing on OERs. Changes in publishing models are also a part of OER-related challenges to consider.